Paolo Bernardi began his studies on mitochondrial physiology and ion transport under the guidance of Giovanni Felice Azzone, one of the founding Fathers of Bioenergetics. His education in Cellular and Molecular Biology was completed with a long-term stay at the Whitehead Institute for Biomedical Research – Massachusetts Institute of Technology, where he worked under the supervision of Harvey F. Lodish. He pioneered the field of mitochondrial channels and their role in cellular pathophysiology. In particular, he focused on the permeability transition pore (PTP), a high conductance channel that is increasingly recognized as a key player in cell death. During the early 1990s he defined key points of regulation of the PTP in isolated mitochondria (membrane potential, matrix pH, Me2+-binding sites, specific redox-sensitive sites). He then developed tools to reliably monitor mitochondrial function in situ, and addressed mechanistic questions on the PTP as a target in degenerative diseases and cancer. His studies have been extended to in vivo models, and led to the demonstration that early mitochondrial adaptation plays a key role in hepatocarcinogenesis [Klöhn et al. (2003) Proc Natl Acad Sci USA 100, 10014-10019] and in onset of the Warburg effect [Sciacovelli et al. (2013) Cell Metab 17, 988-999]; and that mitochondrial dysfunction mediated by the PTP unexpectedly causes muscular dystrophy in collagen VI deficiency [Irwin et al. (2003) Nat Genet 35, 367-371; Angelin et al. (2007) Proc Natl Acad Sci USA 104, 991-996; Merlini et al. (2008) Proc Natl Acad Sci USA 105, 5225-5229]. These studies paved the way to a potential therapy of Ullrich Congenital Muscular Dystrophy and Bethlem Myopathy with NIM811, a non immunosuppressive analog of cyclosporin A [Zulian et al. (2014) Hum Mol Genet 23, 5353-5363]. The recent identification of the PTP, which appears to originate from dimers of the FOF1 ATP synthase [Giorgio et al. (2013) Proc Natl Acad Sci USA 110, 5887-5892; Carraro et al. (2014) J Biol Chem 23, 15980-15985; von Stockum et al (2015) J Biol Chem 290, 4537-4544], offers great promise for further molecular definition of the pore and of its function in health and disease. Development of novel chemical inhibitors of the PTP with potential use in degenerative diseases developed with NIH funding is currently one of the most successful research programs of the Bernardi lab. Paolo Bernardi was a major actor in the Mitochondrial Renaissance of the 1990s. As early as 1992 he was one of the few to realise the importance of mitochondria in cell death well before the role of cytochrome c release was shown to be a key event in apoptosis. He pioneered the field rapidly reaching international recognition, as testified by 199 invited lectures at meetings and 129 seminars at prestigious Institutions worldwide. He has organized or coorganized key meetings on mitochondrial pathophysiology that significantly contributed to the continuing success of the field. 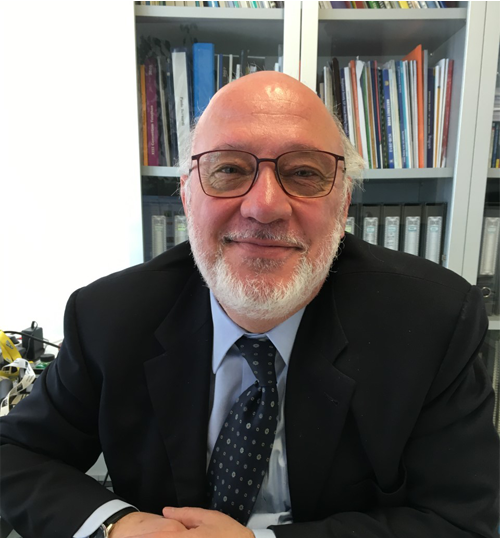 His achievements were possible through the work and training of junior personnel (from 1991 Prof. Bernardi has supervised the work of 27 Graduate Students from the University of Padova, 4 visiting Graduate Students from other Universities and 20 postdoctoral Fellows). 1. Chief Specialty Editor, Frontiers in Mitochondrial Research (from 2012). 2. Editorial Board Member (current): Biochimica et Biophysica Acta (from 1999), Pharmacological Research (from 2015), Current Opinion in Physiology (from 2017). 3. Editorial Board Member (past): Journal of Biological Chemistry (1997-2002, 2003-2008, 2010-2015), Archives of Biochemistry and Biophysics (1998-2003), IUBMB Life (2002-2007). 4. Guest Editor: Biochimica et Biophysica Acta “Mitochondria in Cell Death” (1998); BioFactors “New Perspectives in Mitochondrial Research” (1998); IUBMB Life Special Issue “Perspectives in Mitochondrial Research” (2001); Biochimica et Biophysica Acta EBEC Special Issue (2016). 5. Section Editor, Pathobiology of Human Disease: A Dynamic Encyclopedia of Disease Mechanisms, Elsevier (2014). 6. Member of the Education Committee, International Union of Biochemistry and Molecular Biology (1998-2003). Ministry for the University and Scientific Research – Italy; University of Padova; Telethon – Italy; National Institutes of Health – Public Health Service (USA); AIRC (Italian Association on Cancer Research); Fondazione Cassa di Risparmio di Padova e Rovigo; Leducq Foundation. As of December, 2017 Prof. Bernardi has published 233 peer-reviewed articles which have received 28,313 citations with an H index of 87 (Google Scholar). His most quoted paper [Bernardi P (1999) Mitochondrial transport of cations: Channels, exchangers and permeability transition. Physiol Rev 79, 1127-1155] has 1,493 citations; his most quoted experimental paper [Basso, E., Fante, L., Fowlkes, J., Petronilli, V. Forte, M.A. and Bernardi, P. (2005) Properties of the Permeability Transition Pore in Mitochondria Devoid of Cyclophilin D, J Biol Chem 280, 18558-18561] ranks 4th with 726 quotes. His “top ten” list gathers over 7,300 quotes. 9. Bernardi, P. (2013) The mitochondrial permeability transition pore: A mystery solved? Front.Physiol. 4, 95.